If you are someone like us, you are probably sick and tired of trying to use a pair of earbuds, just to have them fall back out only a moment later or some tiny head movement later. No matter how hard you jam them in, or at which angle you try, they just keep on slipping out of your good ears. The chances are that you have indeed been using earbuds the wrong way. It's never too late to learn how to wear earbuds, though, to get it right. It’s time to learn how to wear earbuds the proper way. 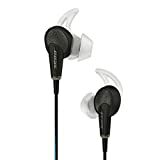 Gaining popularity in the early 2000s with the advent of the iPod, earbuds (also known as earphones and in-ear headphones) are everywhere you look today. In a world where personal technology is more prevalent than ever before, it’s no surprise they have become a part of everyday life. 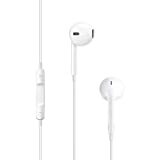 Size essentially plays a large part in the popularity of the earbud. They are much easier to carry around than the more traditional headphones and are definitely a lot more discreet. Listening to your favorite album while in the office or classroom with big old cans stuck on your head, is somewhat conspicuous, to say the least. 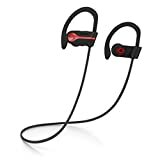 With earbuds, however, you can enjoy audio without attracting any unwanted attention. Earbuds are usually made out of plastic, aluminum, rubber, electrical wiring, and copper. Most of them are manufactured in China or Vietnam. They are compatible with smartphones, tablets, portable music players, and even traditional sound systems by plugging them into a stereo jack. Imagine this. You decide to take up jogging. You spend the morning making a new playlist on your phone of your favorite songs. You grab your water bottle and earbuds and hit the streets. But your earbuds just keep slipping out. You're left only with a ringing in your ears and a growing sense of frustration. You stop, reinsert them, and continue on. The same thing happens. Again and again. After the exact same scenario on repeat, you give up. Throw in the towel. The frustration's just not worth it. What's the point of wearing earbuds if they won't stay in? With the correct technique on how to use earbuds, this won't happen. Your earbuds will actually stay where they should - which is in your ears. Also, with a better fit, you will experience less sound leakage. This means you don't have to turn the volume up so high to get the perfect level, and fewer decibels means less hearing damage. It's actually pretty surprising how many people don't know about to wear earbuds. It is time to say goodbye to a lot of reinserting and readjusting. Your earbuds will stay where they should be. 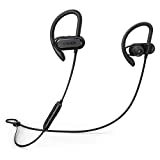 You will truly enjoy music, audiobooks, podcasts, and other activities without the unnecessary interruption of readjusting your earphones every two minutes. Wearing earbuds the right way improves sound quality by reducing or eliminating vibration. When the earbud cable moves around too much, or bangs against your body, it can cause interference with the sound. Wearing earbuds the correct way reduces the chance of damage to the eardrum. It also helps prevent premature hearing loss. This is an important issue that a lot of people choose to ignore – and it can catch up with you at a later age, and you don't want that for sure. Not having the cable sufficiently tucked away can also be very dangerous. The cable is more likely to get caught on something if there is excess. This can pose a serious risk of injury. This can also lead to damage. Incorrect use of earbuds causes more sound to escape from the speakers. To combat this, listeners usually crank the volume to 11. Consequently, the louder the volume, the more damage it causes. Most hearing loss is caused by nerve damage. You can damage the in-ear nerves in a mere couple of minutes by blasting those buds. This adds up over time. It may not happen today or tomorrow, but it will in the long-run. Losing your hearing is definitely no laughing matter, and it's, unfortunately, becoming more and more common in this day and age. Follow these 5 easy to perform steps for an optimal listening experience. Step 1 - Not That Left! This may seem painfully simple, but the first step is determining the Left earbud from the Right earbud. Most earbuds are labeled ‘L’ and ‘R,’ for left and right, respectively. If your earbuds aren’t marked with either indication, then they are made for either ear, and you don’t have to worry about this step. Wearing the right earphones for the designated side does matter. If the audio is ‘panning’ (moving from left to right, or vice versa), it’s recorded to come from the speakers in a specific direction. This is most important when watching something on your phone, tablet, or laptop. If you get it wrong, the sound won’t quite sync-up with the picture. Step 2 - Don’t Forget Behind The Ears! Bring both earbuds up behind the ears and over the top. The cable should now rest on the top of the cartilage behind the ear, with the speaker facing the direction you are. Step 3 - The Loop! Pull the earbuds forward, so you have a sufficient length of cable (a couple of inches should do the trick). This is an important step. It may look silly right now, but you’re only a little ways from hassle-free listening. Step 4 - A Perfect Fit! Here’s where it may get a little tricky. Not everyone’s ears are the same shape or size; thus, what earphone works best for you, may not work very well at all for someone else. 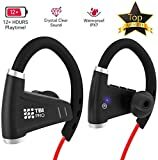 If you are having trouble inserting the earbud, or find it causes discomfort or feels strange, you may want to look at trying another make or model. Some earbuds do come with changeable tips, though. If yours do, try different variations out, chances are you’ll find something that fits perfectly. This step will be separated into two parts. A, for a more common shape of earbud, and B, for an ‘in-ear monitor’ (typically much smaller and featuring a foam or rubber tip that is inserted in the opening of the ear canal). A: For those with conventional earbuds, grasp the speaker with thumb and forefinger and insert it into the outer ear cartilage that is around the opening of the ear canal. Ensure the cable is running between the cartilage gap just in front of the earlobe. The earbud should sit snug, and feel comfortable. B: For those with in-ear earbuds, grasp the speaker with thumb and forefinger and guide it into the ear canal. It should sit snug and unable to move around. Ensure the cable is running between the cartilage gap just in front of the earlobe. Generally, the deeper the earbud sits, the louder the audio will be, but some makes and models differ. Experiment to find what works best for you. Step 5 - All Tucked Away! Make sure that the excess earphone cable is safely tucked away in your pocket, purse, or bag. 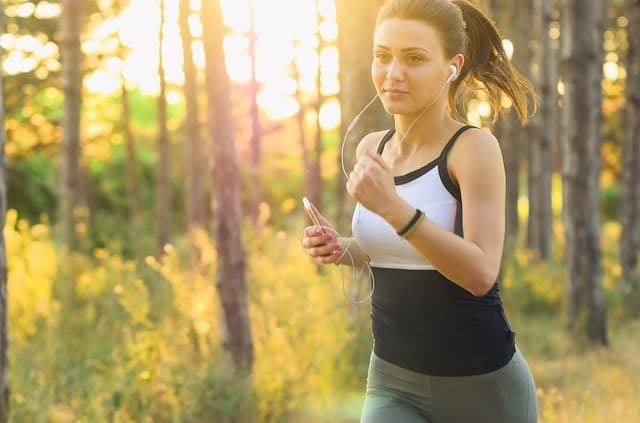 You don't want any loose cable snagging on something while jogging, riding a bike, or taking part in any other activities where it could pose a serious risk to your safety. This also stops the cable from moving around so much, helping prevent unwanted sound interference and other possible complications. Now enjoy a hassle-free listening experience! Now that you’ve learned how to wear earbuds the correct way, you can start reaping the benefits. It is time to take your mind off your buds and focus on what's important - your music. Rock out to your favorite thrash metal song without the worry of dislodged earbuds while executing a face-melting solo on the old air guitar. Breakdance to some classic hip-hop without tripping over the cable. Go skateboarding without the needle being dragged off your personal soundtrack mid-ollie. No matter what your musical preference, or what choose to do while listening to it, your earbuds will now stay where they should. Also, enjoying your music is now going to pose a much lower risk of hearing damage. And also less chance of your earbud cable getting caught on or in anything, potentially injuring you. Or at the very least, interrupting your listening experience. Knowing how to wear earbuds the right way isn’t just about practicality, it's also about safety. It’s amazing how such a little thing can make such a big difference. Previous articleBose Soundlink Review – Quality Speaker From Legit Brand or Waste of Money?